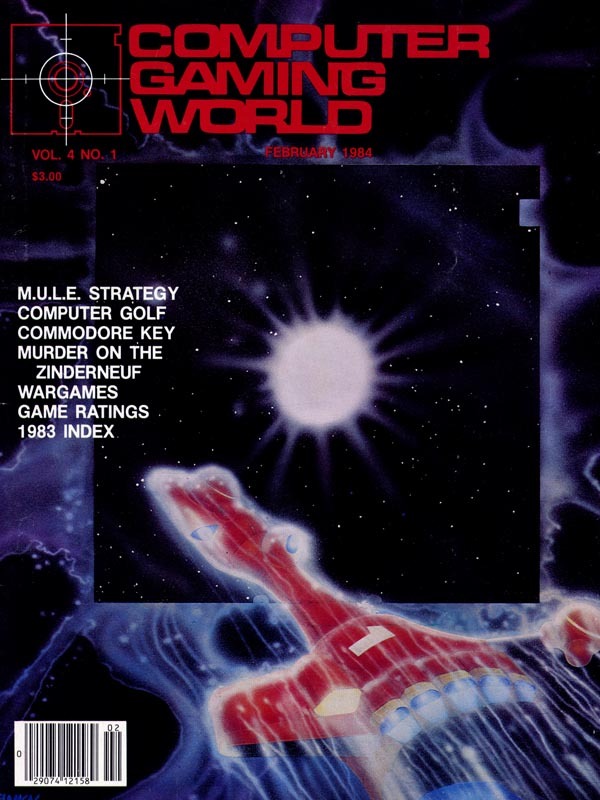 Computer Gaming World Comments and Highlights: The cover of issue 4.1 is meant to depict a spaceship entering a black hole. In this case the black hole is in the form of the diskette, following the visual pun that was visited time and again. SSI games were prominent in this issue, including Ringside Seat, Carrier Force, Knights of the Desert, and Geopolitique 1990. For one reason or another, another particularly difficult to find issue. This issue was the final missing link in the Museum's collection.